Want to see more Bridal Images & Inspiration? the Cotswolds and all over the UK. My ethos is built on making sure you feel completely relaxed and happy with every aspect of the preparations for your big day. I have gained a reputation for ensuring that my brides feel confident in their unique beauty, having planned and prepared their make up and beauty regime for their big day, also feeling like they are in the hands of a friend throughout. On this special occasion,n you deserve to look and feel absolutely your best and I believe feeling excited and beautiful comes from feeling real inner confidence and empowered by how you look. So as your personal makeup artist I want to reflect not just your personality but enhance your best features and simply make you feel the most beautiful you have ever felt. How do I do that? I listen to what you want and with my years of experience I create the look and the vision you really desire. I will spend quality time learning exactly what it is you want to achieve, so that you feel like YOU, only better! Whether you envisage a glamorous, natural look or vintage look, it’s my job to ensure that you ooze that quality with a flawless and lasting finish. We will work together to create the perfect look so that you feel truly wonderful. I only use the best reputable makeup brands including Dior, Bobbi Brown, Charlotte Tilbury, NARS and many more so that I can ensure the make up is of the best quality for my clients. As a fully qualified beauty therapist, I have also invested time into researching and trialling skin care ranges over the years so that I can analyse a skins complexion and advise my brides appropriately on how they can be benefitting their skin to its full potential with the correct products and techniques. I am a huge believer in looking after your skin to see the best results with your make up. Christine was absolutely incredible, I couldn’t recommend her enough! I felt so comfortable at the trial and throughout the whole wedding experience. I was quite unsure of exactly the look I wanted but Christine was so patient with me in achieving the perfect look, completely understood what I was going for and gave the best advice with regards to my skincare regime and products for my skin. She is very talented and knew exactly which types of make up to use on my skin and made sure that I still looked natural. My bridesmaids and mum looked absolutely beautiful and our make up stayed perfect throughout the whole day. I received so many compliments during and after the day but most importantly Christine made me feel beautiful. I would also highly highly recommend the lashes Christine does as they are long lasting and beautifully natural-looking. Thank you Christine! This package includes everything you need to be prepared for your make up need's for the big day as well as touching on your skin health and any improvements you may need to make your skincare regime, this is something I always advise to do before any bridal make up application. Consultation - this is our initial conversation about what you are looking for. We can meet for a coffee or simply talk on the phone to discuss your thoughts for the big day. I’m happy to answer any questions and then we book a date for your trial. I find an initial introduction is important so you can you feel comfortable with me and totally at ease being able to chat and feel I understand your needs. The Trial (1.5 hours) - Basic skin care advise and your make up trial. Specialist skin care advise - Throughout the consultation and trial period we will have talked about how you look after your skin. We will look at any problem area's you may have and how we can help them. We will go through your current regime and look at any basic changes that could to be made to enhance your skin. Not only will this benefit your skin but it will enhance how you feel on the day too. You will receive this information along with a product list from the make up trial for future reference. Your Wedding Day - having previously organised timings and planned the perfect look for this magical day, we will take plenty of time getting you ready. I shall stay until you leave with your family/bridesmaids, so I can ensure your makeup is perfect up until the last minute and do any last minute touch ups and tweaks. ''I cannot recommend the extended trial with skin care consultation any more if I tried. I am lucky that my skin has never been a huge issue, but the addition of the Jane Scrivner range made a visible ‘wow’ impact within a few days of starting to the use the products. Even my dad noticed the difference and that is saying something! I am now converted and they will be products for life! Bridal Make up on it's own: £120- Without package of consultation and trial. £35 for Teenage bridesmaids up to the age of 15 and Flower girls under 11 won't be charged for of course for a touch of lipgloss and sparkle! * For larger groups, I bring a fellow to make up artist/assistant to help me with the bridal party (bridesmaids/guests), however, I will always be the Brides personal Make up artist. Discount is offered for large bridal parties over 5 people, example 5 bridesmaids and mother of the bride. Please contact me about these packages. 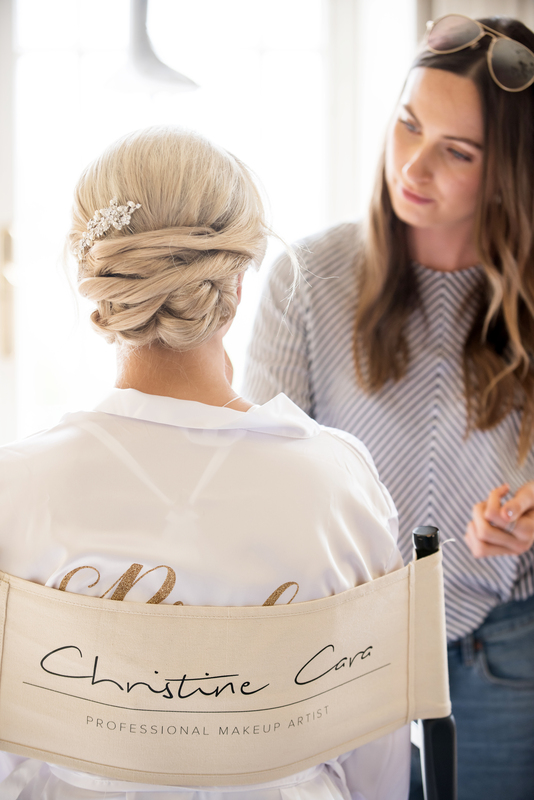 Often, brides decide to have me there throughout the day, until the evening reception or even just until after the ceremony before their photos, this is so that I can be on hand to touch up their make up and make sure everything look's perfect. If you are a local wedding, I can also come back to change the make up for the evening. This is an optional extra, so please let me know if you wish to discuss this extra bespoke service. Bridal Make Up- What, Why, When & How? Read my useful blog for more information and insight about make up for your wedding day. How to book? What to expect and the process's- Find the blog here!! Are you attending a Wedding and would like your Make up done also? Have a look at my Personal Special Occasion Make up page prices here. There are also discounted options for groups. I ask for a deposit fee of 20% of the full balance amount to secure all bookings made. Once we have confirmed the booking I will invoice the deposit fee which can be paid anytime within 7 days of receiving it. Enquiries for which a deposit has not been paid will not be secure therefore availability cannot be guaranteed. Deposits are non-refundable and last minute cancellations after 3 months before the wedding will result in losing the full balance due. Once the trial stage is completed and you are happy to confirm, you will receive your final balance invoice, which can be paid within the week before the wedding date. If you would like to pay your balance earlier please just let me know. Travel Expenses: I will not charge any expense for travel up to 10 miles from my home address. There after will be a charge of 75p per mile for the round journey. This includes the trial (if I have travelled to you) and the wedding day. For full Terms and Conditions please contact me. A full document will be sent out with the initial deposit invoice. Do I travel? And how far? Yes I will always travel to you for your trial and wedding day. There will be no travel expenses up to 10 miles from my address and 45p per mile there after. I will travel as far as you need me too. I will also work overseas- fee’s for this can be discussed in consultation. How many people in a bridal party can I do on the day? Well it depends on time, however if you had a much larger party I would bring an assistant(s) depending on the number of people. I like to work on 5/6 people maximum, so that the makeup isn’t rushed at all. No a trial is of course optional. However, I recommend having one as it gives us the opportunity to map out the make up and get to know each other. This way on the wedding day you can completely relax knowing we have planned and prepared. What will happen on the actual wedding day? In the trial or conversation before hand, I will have planned all the timings for the day. I shall work out prior to the day exactly how long I need for each person, so that I have enough time. I will arrive 30 minutes before the start time so that I can set up and make sure you are happy with our plans. Yes absolutely, I understand people have their favourites or products they just know work. Therefore in the consultation, you can give details of this. Can I cover up unwanted scars or marks? Yes, absolutely. I have professional camouflage make up to thoroughly cover up any unwanted marks/scars or tattoos.